1. Day: leaving early in the morning we drove to the first checkpoint. Passing a bridge we started the adventure! Going up and down we enjoyed the first day with good weather. 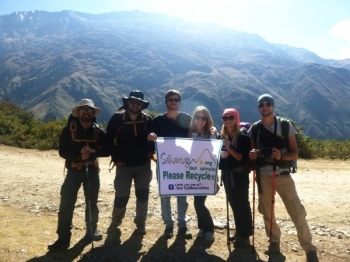 The Salkantay trek was very fantastic and knowledgeable . 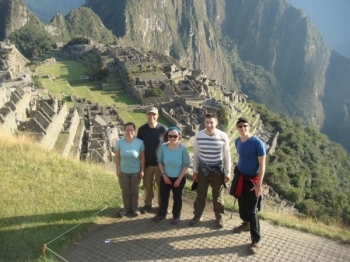 My experience with guide Eloy and his team was magnificent, each day was truly an adventure. 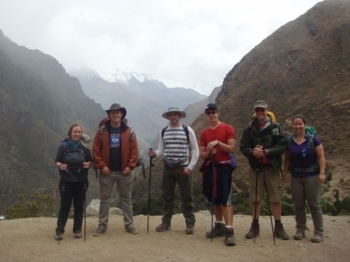 We decided to do the Salkantay trek instead of the Inca Trail because it was supposedly much more of a challenge. And that turned out to be true. 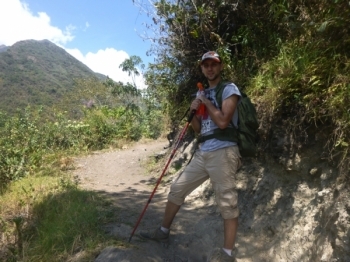 The trek was pretty strenuous, but definitely worth it!. The views were beautiful and breathtaking. I had a great experience with Hilton and his team. They were very accommodating and fun to be around with. 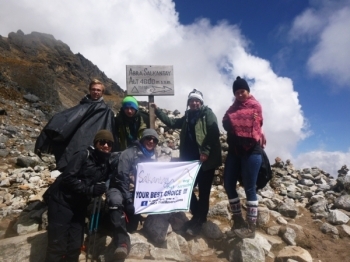 Hilton and his team had a positive attitude and was always pleasant towards us considering the circumstances. It definitely was a challenge, but our guide made it the most enjoyable adventure I've been on. Potatoes, Slowpokes, and Ruins Galore! 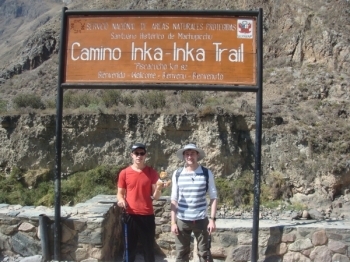 While this was one of the most challenging things, I have done, Inca Trail Reservations made it clear and easy. Aside from a somewhat hasty orientation, everything was well planned, and since there were a lot of cities and modes of transportation, that made it so much easier for us. 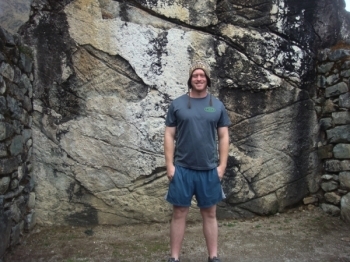 This was one of the most challenging and rewarding experiences of my life!. I have vertigo and during day three I was terrified; looking down the side of a mountain can take your breath away both figuratively and literally. Wow. 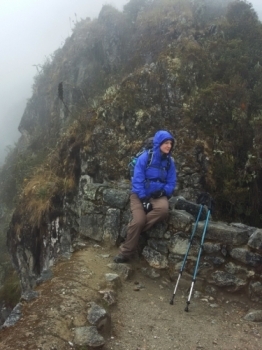 The Inca Trail has left me absolutely speechless. It was paced really well- getting to experience different environments each day while still covering several miles was awesome. 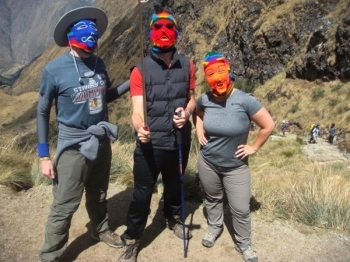 Loved the guides and loved the inca trail. My favorite ruins were the Winaywayna. 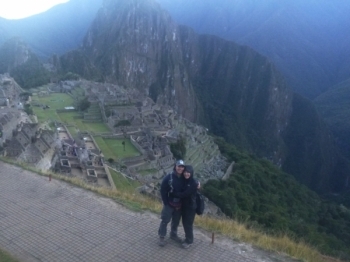 Machu Picchu was awesome but crowded. Very much enjoyed the trek. Every guide, porter, and the cook were really great. 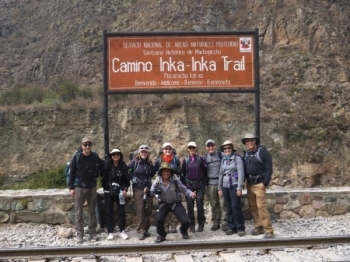 The meals especially were great both in food and being able to socialize with the guides and group members. The best day was day 3 because of the amount of ruins and its relativo ease compares to the day before. 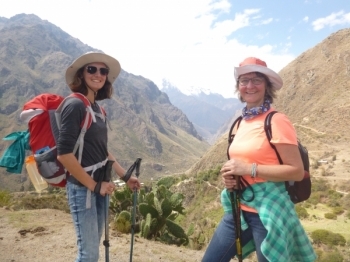 Der Salkantay ist ein wunderschöner Wanderweg zum Machu Pichu. Die ersten zwei Tage verliefen bestens, leider hatte mein Magen im zweiten Basiscamp etwas an der schönen Tour auszusetzen, sodass ich in der Nacht zum 3 Tag stark erleichtert wurde. 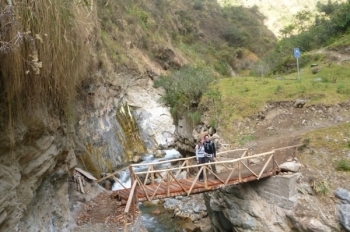 My girlfriend and I signed up for this trek not fully knowing what to expect. 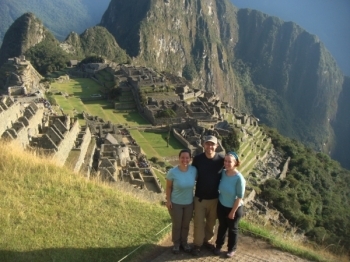 Well, we learned quickly that this was a challenging, yet rewarding experience.